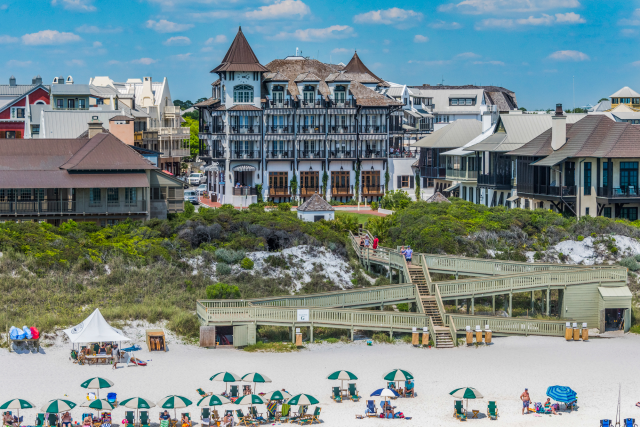 The Cabana House is a luxury home with a carriage house just 700 yards from Rosemary Beach! You can enjoy a private courtyard, as well as a rec room with a pool table. 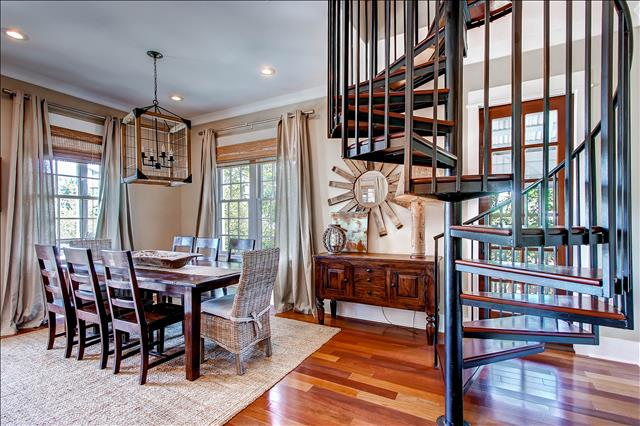 Inside your rental, you’ll find elegant furnishings, gorgeous hardwood flooring, and modern decor. This home sleeps up to 19 guests comfortably, so it’s perfect for any large gathering. 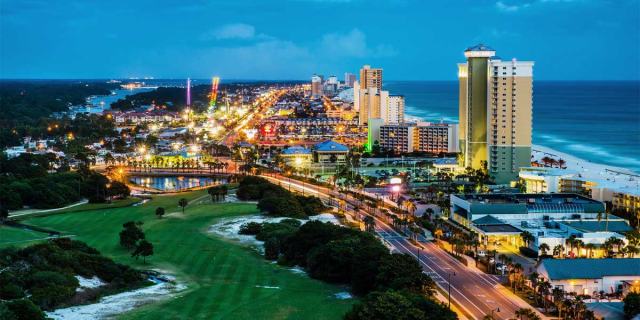 After a day at the beach, grab a drink on the balcony overlooking the pool, go for a swim at any of the 4 pools, or take a stroll on the 2.3 miles of boardwalk and trails that wind through the town. You’ll find it all right near this rental! 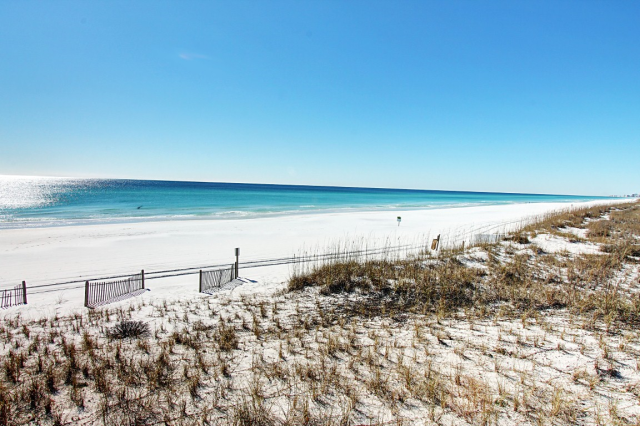 The Grand Petite is one of our best Rosemary Beach vacation rentals to stay in this spring! 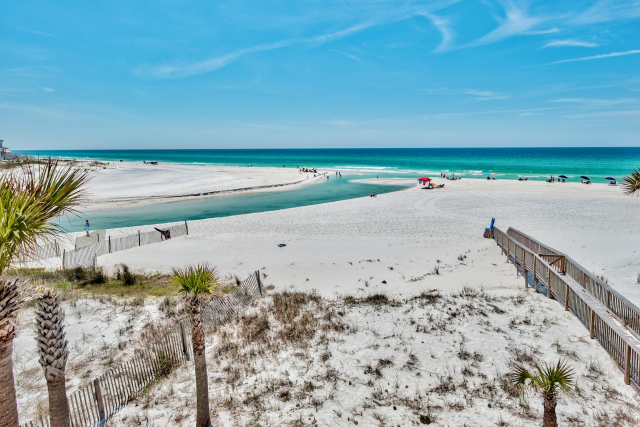 Not only will you be just 100 feet from access to the beach, but you’ll have your own private deck that’s perfect for sunbathing. This rental is right above Vining’s Art Gallery and next door to Edward’s, a go-to for fine dining and drinks. After a quick elevator ride, you’ll enter the open concept living area that has gorgeous hardwood flooring, plenty of seating, and granite countertops in the kitchen. This rental sleeps up to 3 guests comfortably and is great for a romantic getaway or small family vacation! You’ll also have access to the 4 heated community pools for free and the fitness and racquet club for an additional fee. The Atticus is a luxury 4 bedroom home that sleeps up to 10 guests. 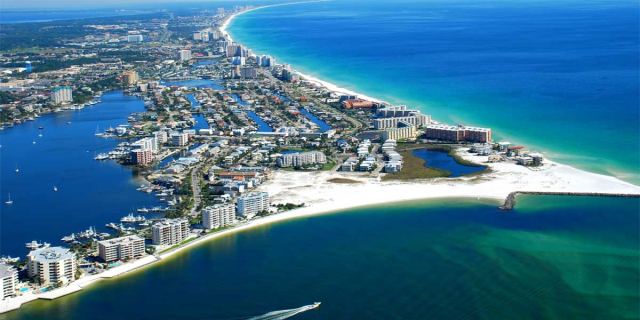 It will put you just 500 yards from Rosemary Beach and within walking distance of shops and restaurants. 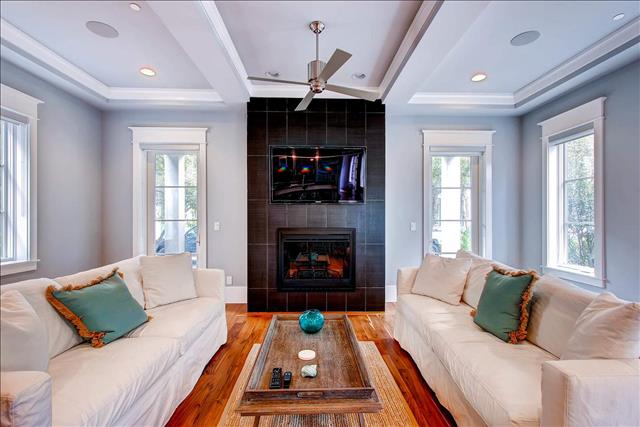 The rental includes multiple balconies, a private porch, a commercial-grade kitchen and fireplace, coffered ceilings, rainhead showers, and more. You’ll also have access to the community’s 4 heated pools, and the fitness and racquet club for an additional fee. 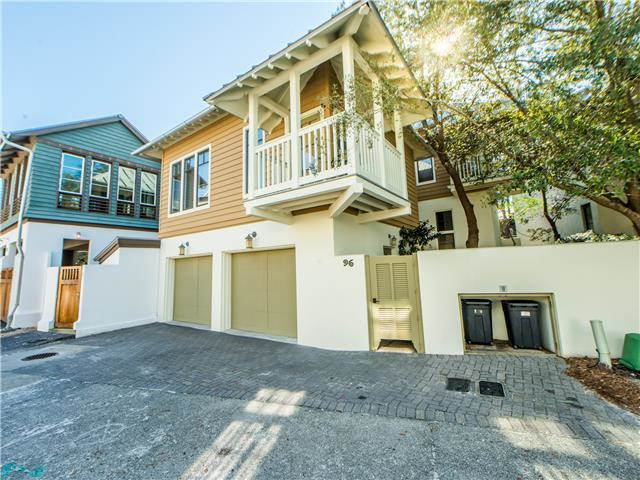 The Sunsets at Rosemary Carriage House is a quaint 1 bedroom, 1 bath carriage house just of HWY 30A in Rosemary Beach! It's perfect for couples or small families of four. 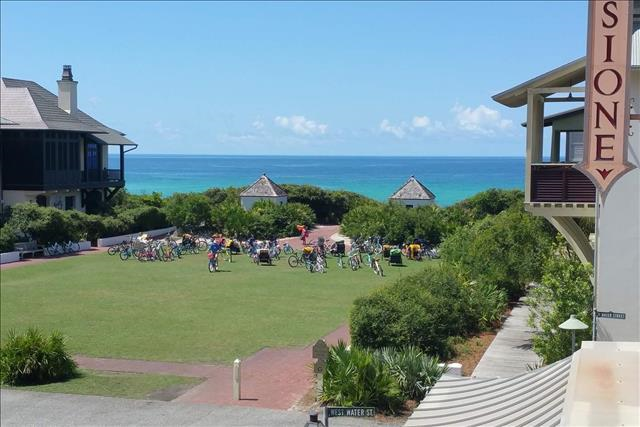 Relax on the balcony overlooking the Rosemary Beach community with your morning coffee as you plan out your day, and enjoy the short walk to both the beach and Barrett Square! You'll also have access to the community's 4 heated pools, a fitness center, and more. 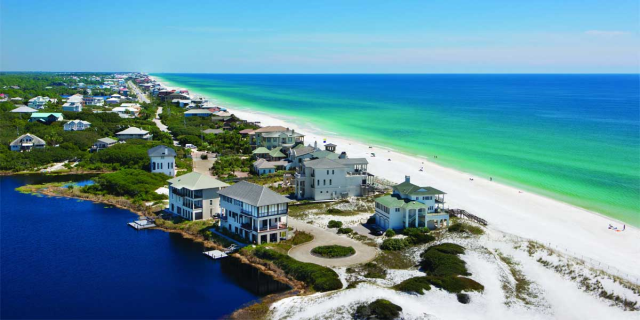 These beautiful vacation rentals are the perfect place to stay when you visit Rosemary Beach this spring! 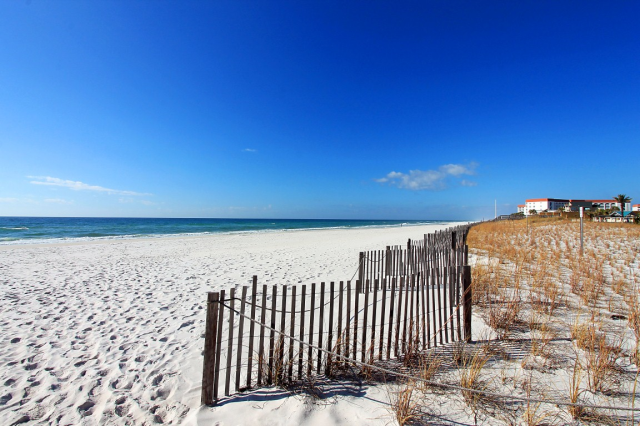 Browse all our beautiful Rosemary Beach vacation rentals and start planning your vacation today. 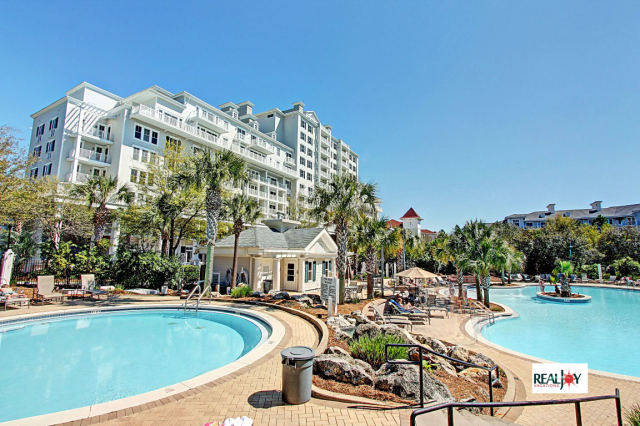 OPEN Apr 25 to 28 $1220!